The proposed project area begins on the south at Montgomery Street and extends north along the waterfront to East 25th Street. The design includes inland segments along these streets and a design study area that includes portions of the Lower East Side and East Village neighborhoods, Stuyvesant Town, and Peter Cooper Village. Within the areas, the City is proposing to install a flood protection system constructed entirely within the public right-of-way by focusing improvement within City parkland and along existing streets. This flood protection system is slated to include a combination of berms, floodwalls, and deployable systems with other infrastructure improvements to reduce neighborhood flooding. 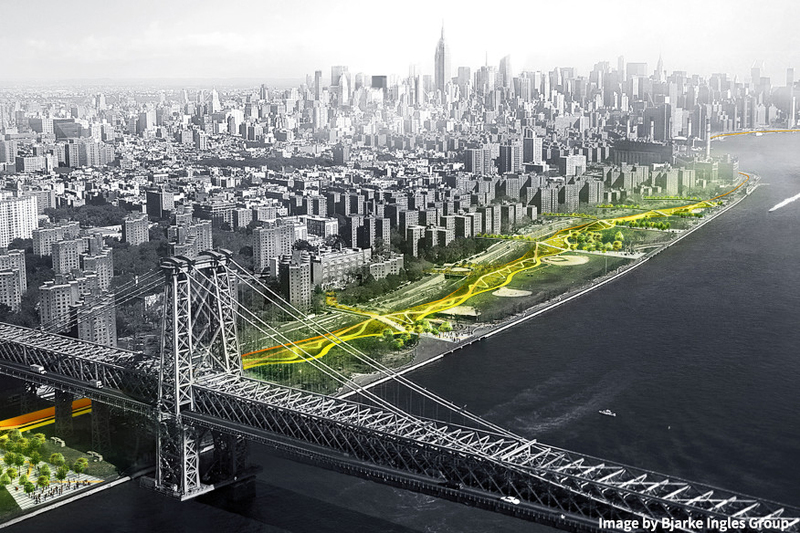 In addition to providing a reliable coastal flood protection system for this area, the project will also improve extensive stretches of public waterfront and neighborhood parks including the 57 acre East River Park, 2.8 acre Stuyvesant Cove Park, the 2.4 acre Asser Levy Playground and the 1.3 acre Murphys Brothers Playground. SiteWorks is providing technical consulting to the project team including flood resiliency planning, constructability reviews, cost estimating, lifecycle modeling and maintenance planning for the park and open space areas of the project. In addition, SiteWorks is assisting with the planning and scheduling of the park and public realm construction.